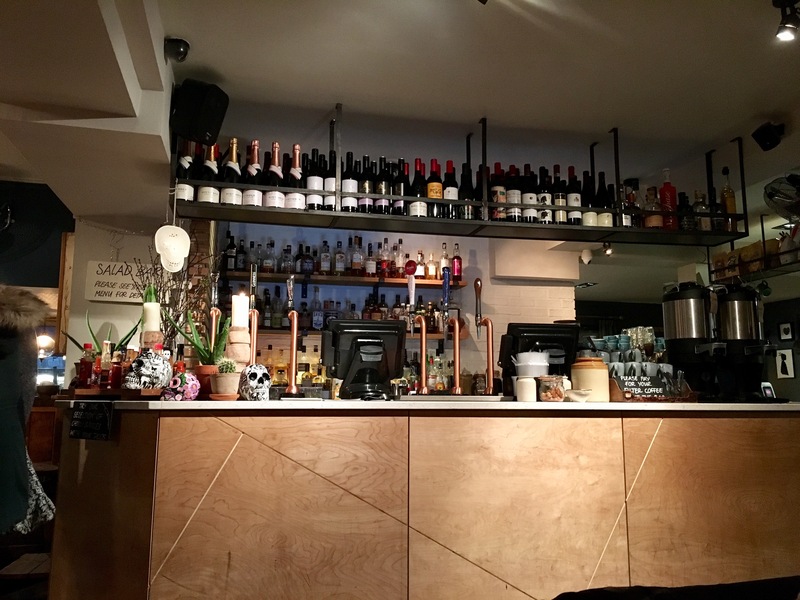 The Plough is one of those places that feels like a Birmingham institution. It’s extremely well thought of and is on just about every ‘list’ there is to be on of Birmingham’s ‘best’. For this reason, I’d expect nothing less than top breakfasts, brunches, burgers and cocktails, thanks to bloggers, the press (here and here in particular) and food websites alike. It’s also in leafy Harborne so this practically feels like you’re going to the countryside on a jaunt from the city’s concrete jungle. 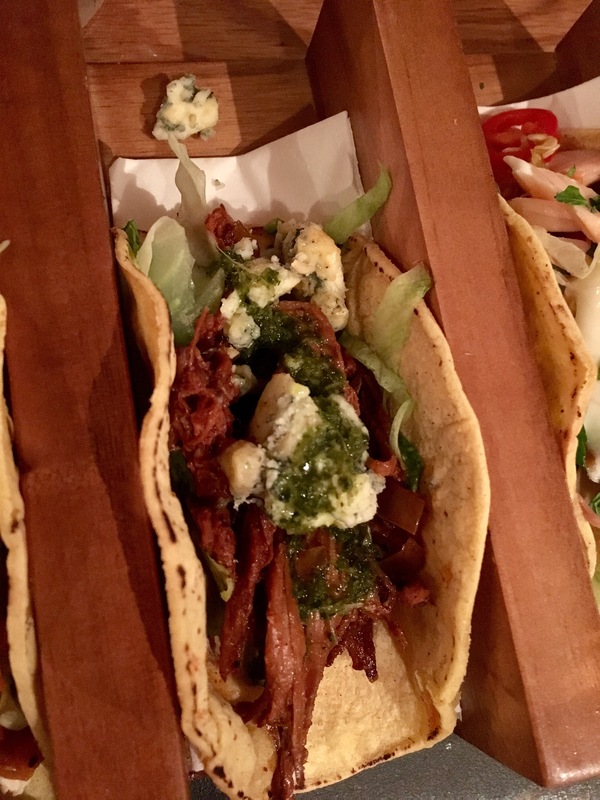 For this, my first time eating at The Plough, we were trying out their Taco Wednesday ‘#bocagrande’ night (even after googling, honestly still not sure what this refers to…). I was playing plus 1 to the lovely Nosh & Breks and we joined the equally lovely Winepressgirl and her friend Lou. First impressions first, the atmosphere in The Plough was just great. Having previously only popped in for a Friday lunchtime drink, on a Wednesday that felt like Spring was right around the corner (i.e. Brits/Brummies flocking to the nearest beer garden post-5pm), it really was full and buzzing with groups of all ages enjoying a midweek catch up. From here on out, you can see how The Plough is a real Harborne hub. 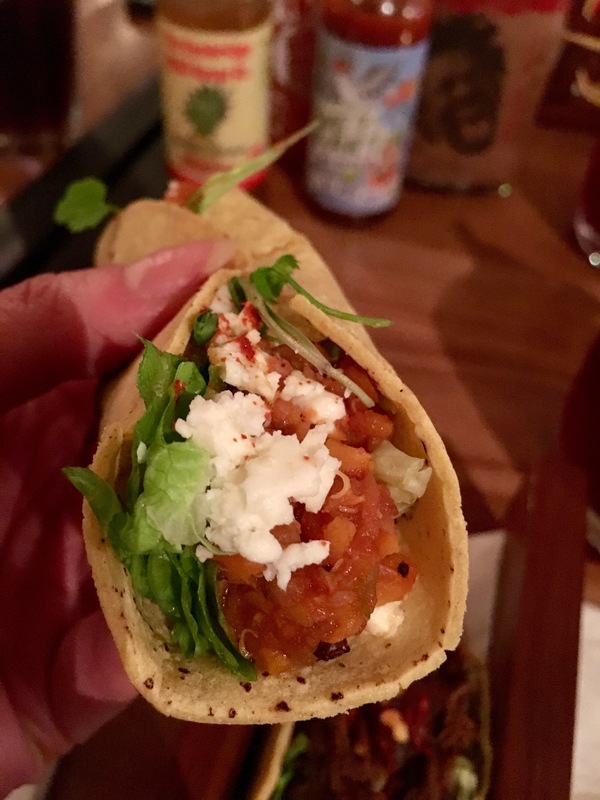 At first I felt a little saddened at the thought of tacos – my first experience of them being with the now sadly absent Cafe Horchata 😔 Still, my taco expectations had started out high. 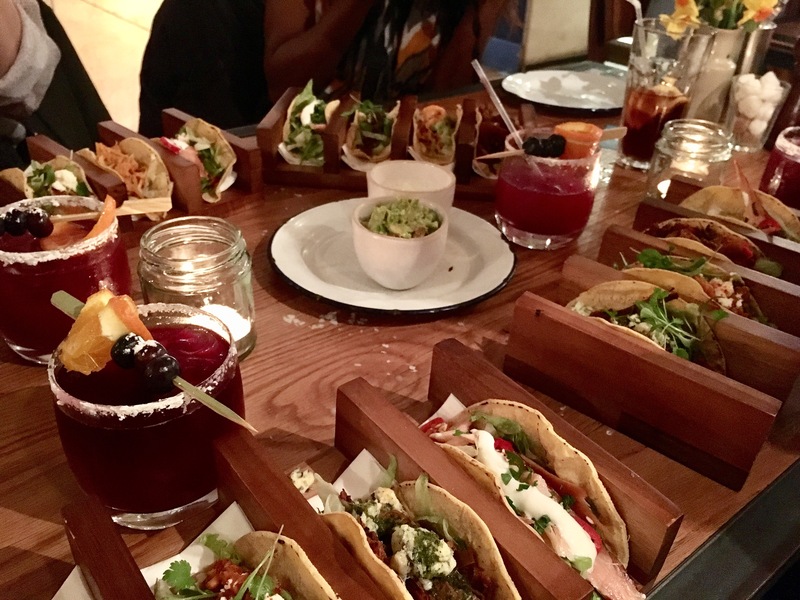 The Plough’s taco menu has a choice of five, with four for £12.50. So basically, eliminate one. For myself & Nosh, the chicken took the hit. For Wine & Lou, the beef. The pork and beef were a close 3rd and 4th. 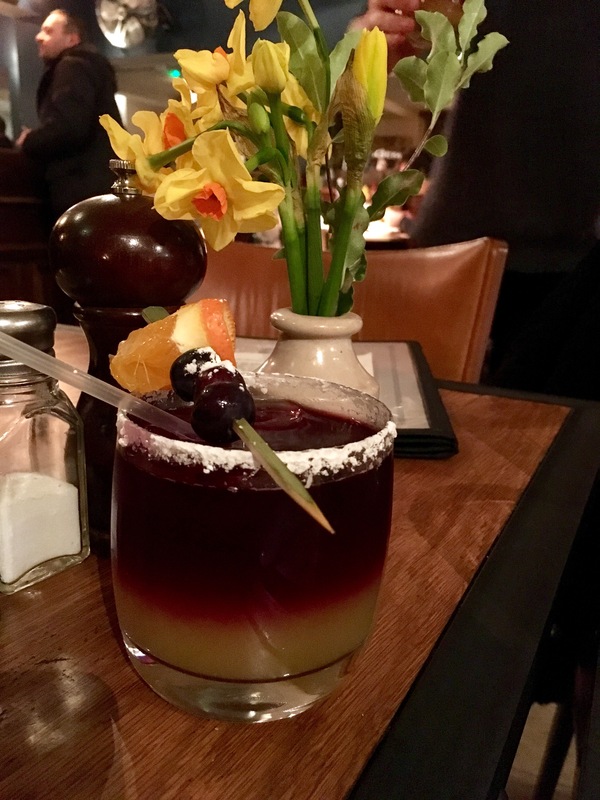 I think I probably preferred the unusual flavour combos with the pork, the fruity apple sweetness throwing in unusual fruity flavours, but cut through with pickled red cabbage. Sadly the salmon was bottom of the pile. Mainly, I’m not sure if I’m a fan of hot smoked salmon, which was fairly overpowering in flavour & scent in a small taco situation. It perhaps would have worked better in slighter flakes. 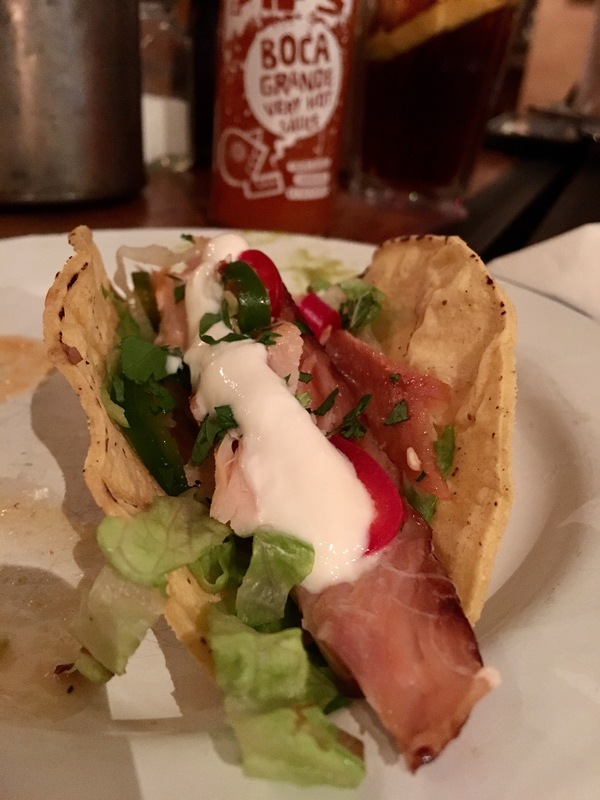 Also, definitely go for the side of sour cream – it’s flavoured with a hint of lime and is divine atop your tacos. The side of guacamole was creamy and enjoyable, but a bit too much with already fairly full tacos. Nice but probably unnecessary. 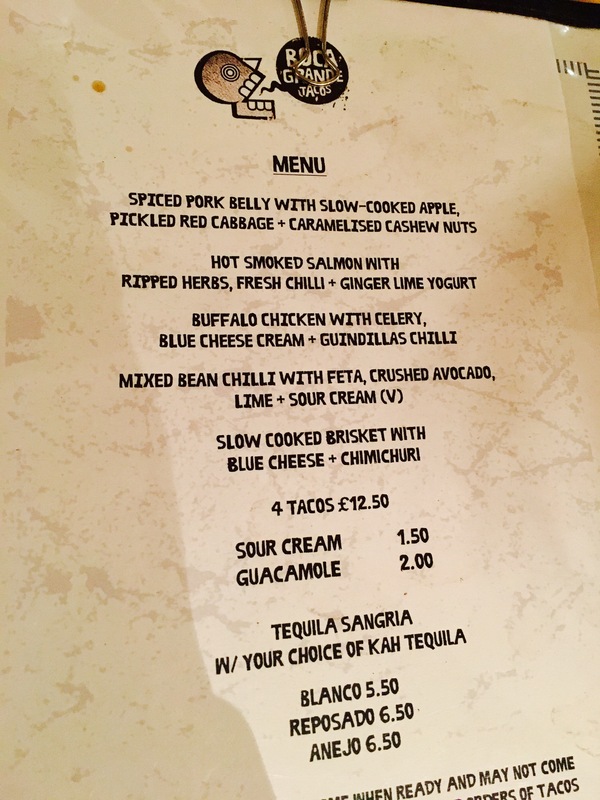 What I liked about The Plough’s ‘themed’ night was that it wasn’t just ‘oh let’s sell tacos on Wednesdays and make it a thing’. 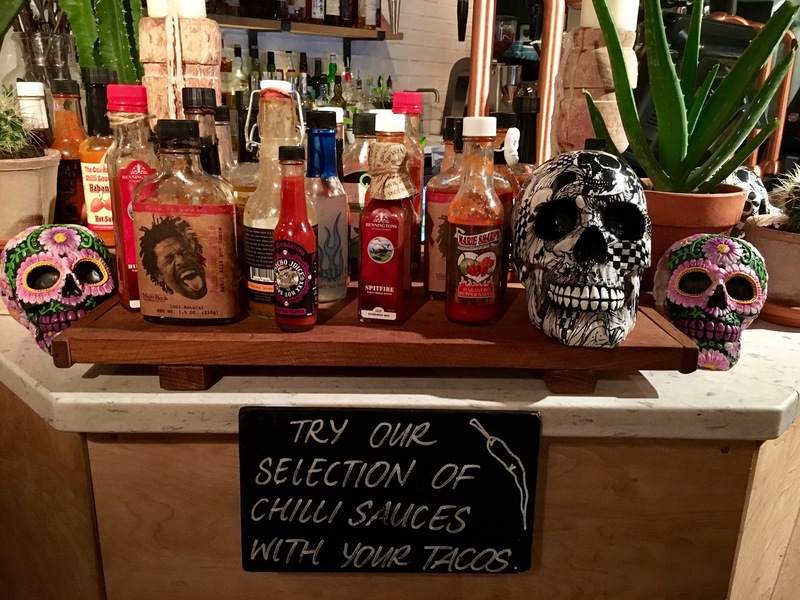 They’d put a little extra detail behind the idea, without the tack of course (we are in Harborne after all); an accompanying menu of tequila cocktails, an impressive array of hot sauces poised for you to try and Mexican skulls dotted around the place. 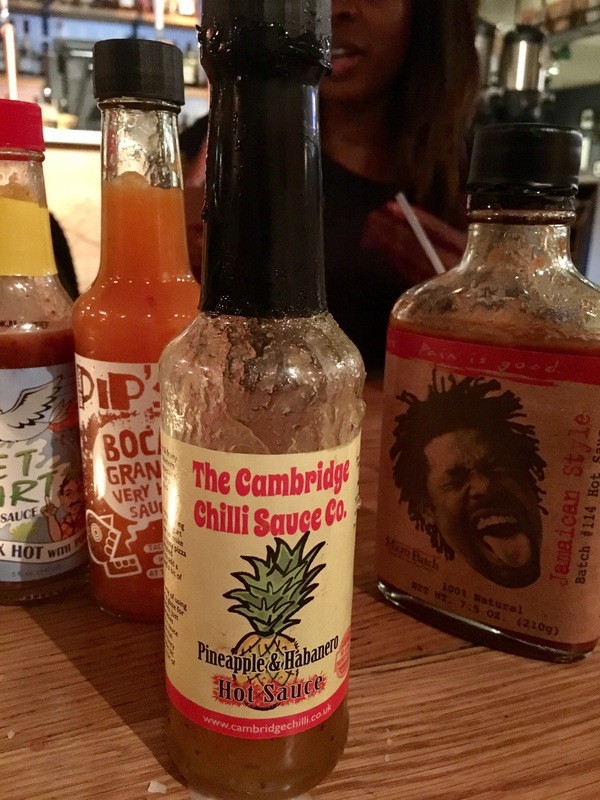 However, this was a little find that I will be seeking out: Pineapple & Habanero hot sauce from the Cambridge Chilli Sauce Co. Literally tastes like spicy pineapples. A real sweet treat on a savoury dish or even a salad. 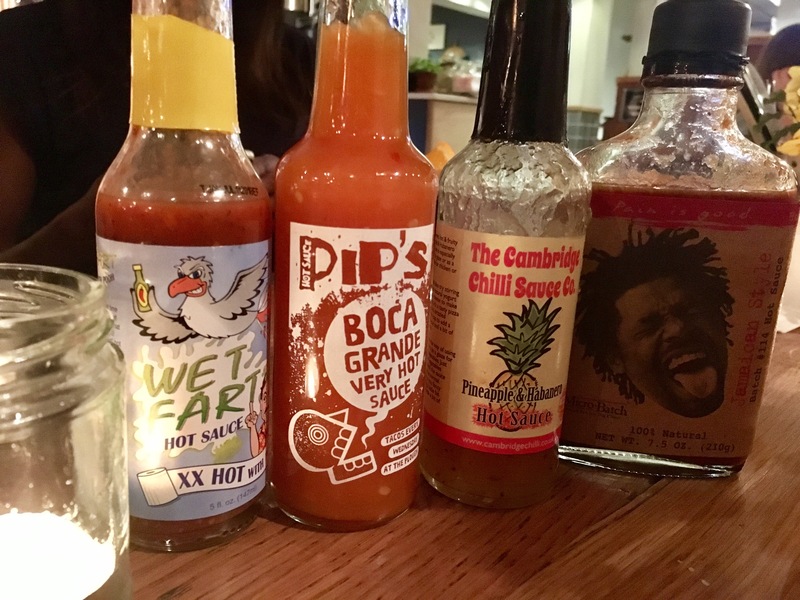 I’ve also had the above Pips hot sauce at Bodega in Birmingham and am quite the fan. 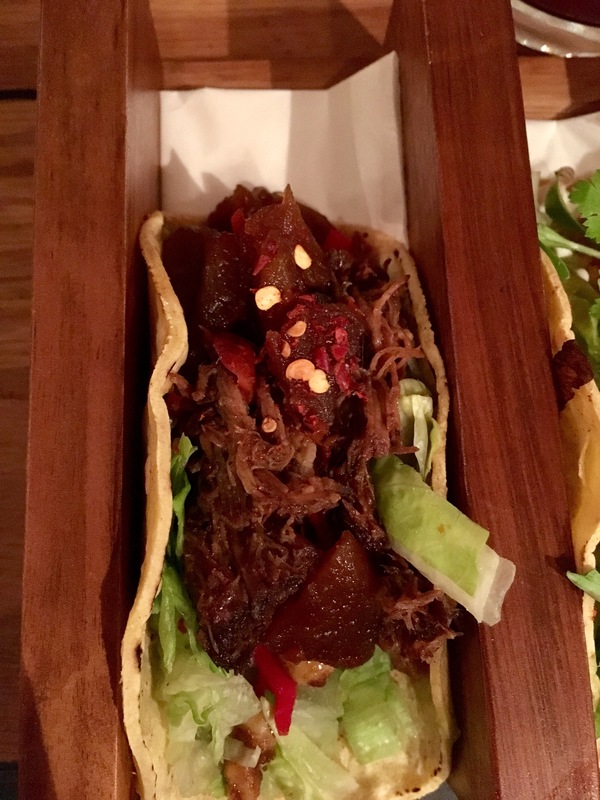 So, tacos are great fun (messy, but fun), full of flavour and all that. But inevitably those small circles of tortilla tastiness leave you wanting more. 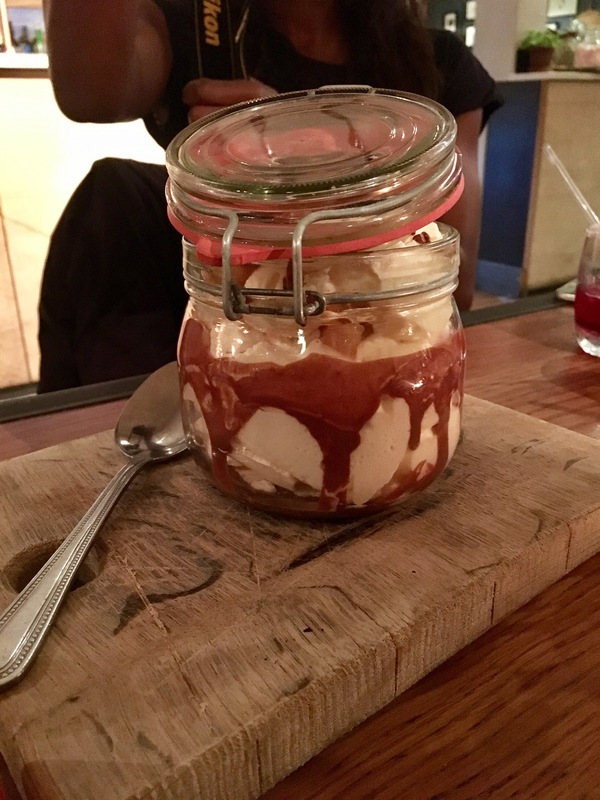 Good job dessert was on the cards and The Plough did not disappoint in this department. 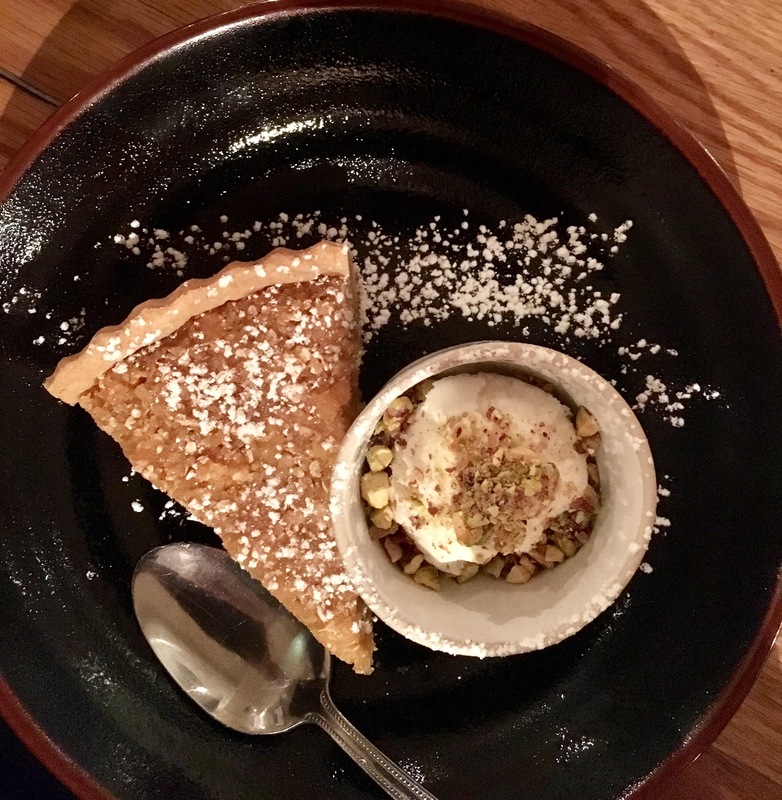 Of course although we all ogled at Winepress’ ENORMOUS Eton mess, I did also enjoy the comfort food-texture of the pecan pie, if you get my drift… STODGE. 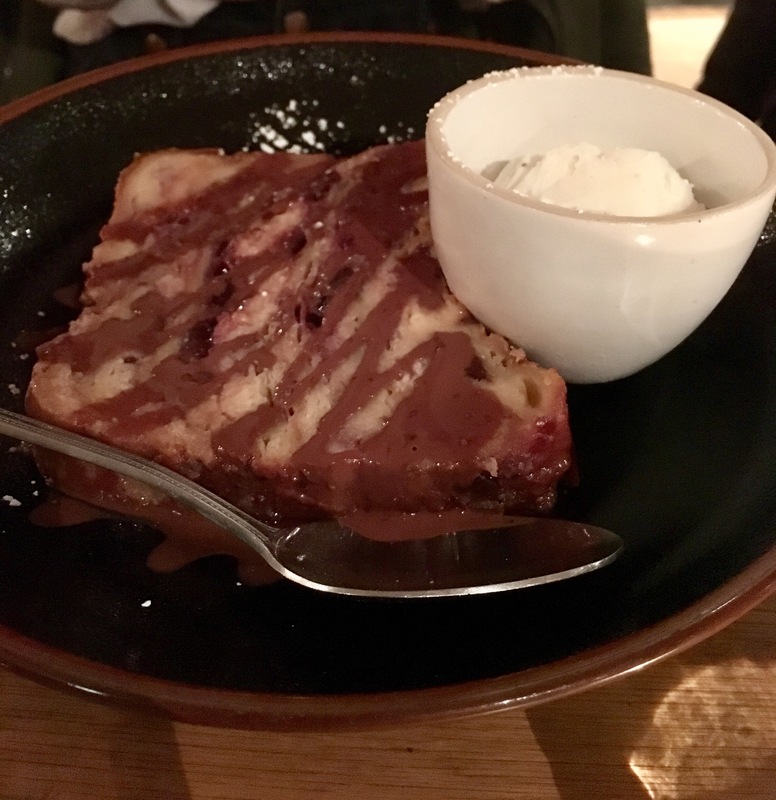 However I’d definitely be back for that bread & butter pudding as an afternoon treat, a little like this one up the road at Harborne Kitchen. With SO MUCH to tempt us back to The Plough (food from breakfast until bed), loads of tasting/pairing events, not to mention the hugely enjoyable buzz about the place even midweek, we’re considering setting ourselves a ‘meal-a-day’ challenge for 7 days to really test out this ace all-rounder. Challenge accepted Nosh & Breks and Winepressgirl? 21, High St, Harborne, Birmingham, B17 9NT. 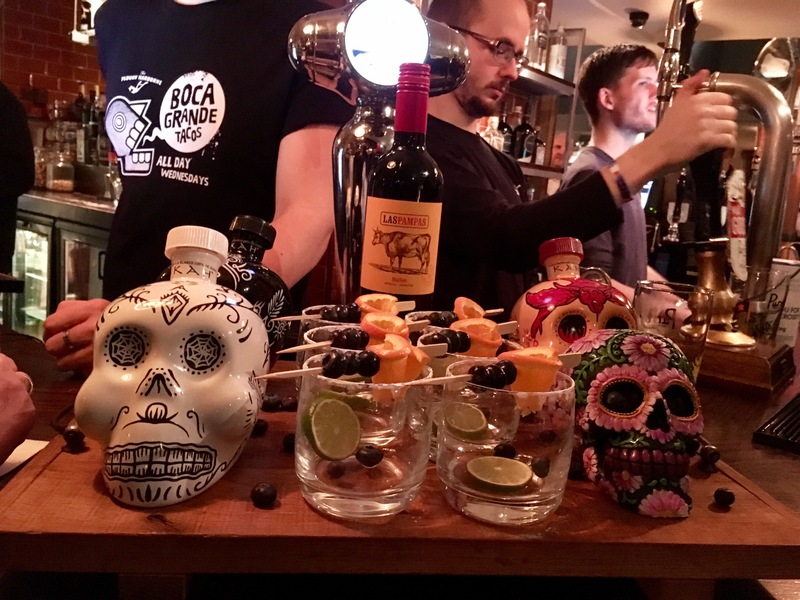 Disclosure: I was invited as the lovely Nosh & Breks’ cheeky plus one, as guests of The Plough invited to review their ‘Boca Grande’ night. 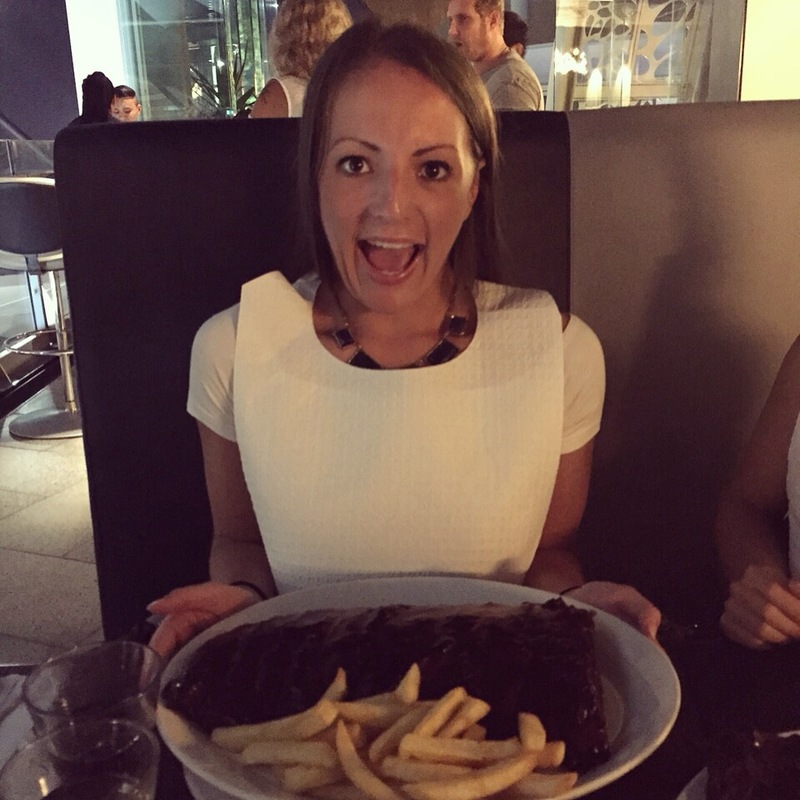 Our food and drinks were free but this does not reflect my honest opinion that it was just bloody awesome.